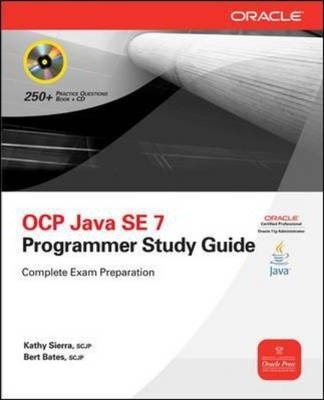 Kathy Sierra was a co-developer of the SCJP exam and the SCEA exam. She was also a master trainer for Sun Educational Services, where she taught Java instructors. Kathy's full-time job since 1998 has been to help others learn Java and prepare for the SCJP exam, and she also is also the sole founder of the world's largest Java certification web site, Javaranch.com. Kathy has worked for Sun Educational Services worldwide headquarters in the course development, customer training, and certification departments. Bert Bates is a Sun Certified Programmer for Java and has been developing software for the last 20 years. He has participated in the development of the SCJP, SCEA, and SCWCD exams. He has also been teaching software development, including Java programming, for many years, with a particular interest and background in artificial intelligence.